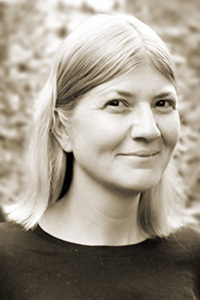 Cindy King’s work has appeared in Callaloo, North American Review, River Styx, The American Literary Review, and elsewhere. Her poetry can be heard at weekendamerica.publicradio.org and cortlandreview.com. She has received a Tennessee Williams Scholarship from the Sewanee Writers' Workshop and the Agha Shahid Ali Scholarship in Poetry from the Fine Arts Work Center. She is an assistant professor of English at Dixie State University.